10 ideas to enhance your leadership skills. Being a contact center leader is a demanding job. You have a large number of people to lead. You have an overwhelming array of statistical performance measurements to track and analyze, such as average handle time, schedule adherence, personnel budgets, workforce management, voice of the customer tracking, etc. You also need to keep your department informed regarding new products, systems and company changes. On top of that, your department’s success is often dependent upon a number of other teams doing their jobs well. For instance, human resources needs to hire the right people. Training needs to prepare new agents for success. IT has to provide the right systems, while the marketing department can drive call volumes just by launching a new ad campaign. 1. Focus on priority management. After 25 years in the contact center industry, I have yet to see a contact center where every single area of its operation is performing perfectly. Even the best centers have a list of things they would like to change, add or improve. There is always more work than time to do it. That makes traditional time management courses useless. Instead, focus on priority management. What is your biggest priority? What would help you the most? Focus on those areas so you can leverage your time more effectively. 2. Build communication links with other departments. In many organizations, the contact center is at the end of the official communication chain. For example, the marketing department creates a new ad campaign that includes a sales contest. They also print the customer service number in the ad. However, they wait until the night before the ad runs to inform the contact center about it. The contact center is flooded with calls the next day. Since workforce management was not warned ahead of time, they do not have enough agents to handle those calls. They also only have a brief Frequently Asked Questions page on their intranet to respond to customer questions instead of proper training on the contest rules. As a result, service levels and customer satisfaction scores are terrible, while agent morale plummets. One way to avoid this is to build communication channels with other departments. Contact the leaders of other departments, such as marketing, and ask them to include one of your senior team members in their campaign planning meetings. Give them a reason to invite you. Show them the benefits of including the contact center during the planning phases of a rollout, such as ensuring adequate staffing levels to handle the increased call volume or giving the training team time to educate agents on the new campaign. 3. Keep your team informed. Think of the best leaders. They are often the best at communicating information, creating buy-in and getting everyone to work together. Leverage all of your communication tools: “Town Hall” meetings, manager’s meetings, agent preshift huddles, white boards, intranet postings, audio and video clips, etc. Create buy-in by focusing on things from your team’s perspective. What do they need to hear? How does it affect their job? What can you do to support them? How can you ensure that remote agents also receive the same message? 4. Polish your presentation skills. Great public speakers have the ability to use their voice, body language and eye contact to motivate an audience to action. This skill will help you communicate more effectively with your department. It will also help you make a strong impression when you present to other departments or to your company’s executives. How can you improve your public speaking skills? Toastmasters (www.toastmasters.org) is a great place to start. They have chapters all across America (and the world.) If you are a more advanced speaker looking for a way to go from good to great consider attending an executive communication skills workshop. This will help you learn to communicate at a more senior level. Better yet, join two! The first association should focus on the contact center profession. What are the benefits of joining a professional association? Well, most of them offer monthly or quarterly meetings where a guest speaker shares case studies or tips for dealing with certain contact center challenges. This gives you the benefit of learning from other people’s mistakes, growing pains and successes. These meetings also give you the chance to meet managers, directors and VPs from other contact centers. By interacting with them, you may learn more about the latest trends in the contact center world, or hear about how they coped with a challenge similar to one you are facing. As an additional tip, look for opportunities to speak at association events. That will help you polish your presentation skills, as well as build your reputation as a contact center expert. 6. Join a trade association. The second association you should join is one that deals with your industry. For example, if you work for a telecommunications company, look for an association that focuses on the telecom industry. Although you may be the only person from a contact center in that room, you will learn about the latest issues affecting your industry. That will make you more valuable to your company, since you will have a broader perspective than someone who has not had that external exposure. Read… a lot! Remember that “readers are leaders.” Since you are already reading this article, you know the value of reading about the contact center profession. You can also supplement that knowledge by reading about leadership styles, communication skills and reviewing the biographies of great leaders you admire. You can also consult trade publications for your industry. That will provide a deeper understanding of the opportunities and challenges facing your company. Finally, if you do not have time to read books or trade publications, an alternative is to listen to audio books in your car. The point is to feed your mind with the knowledge you need to become a better leader. What is even more valuable than book knowledge? Having an expert you can consult for advice. Someone who has already traveled down the path you are on. A mentor should be someone you can trust both in the quality of their advice and in the integrity of their intentions. Where can you find such a mentor? One way is to network at the association meetings I mentioned earlier. Find someone who is more experienced than you and who does NOT work for a competitor. They should be someone you have met on multiple occasions and with whom you get along well. A mentorship is like any other relationship. You need to find the right person and work at the relationship. You might be able to also find a mentor within your own company. A current or former boss you admire could be a good candidate as a mentor. On the other side of the coin, you can build your career by becoming a mentor to someone else. For example, you may want to mentor one of your subordinates. Or, you can volunteer to mentor someone through a college mentorship or business association program. What are the benefits to you? Well, there is an old saying that you really do not know a subject well until you can teach it to others. You also gain the satisfaction of helping someone else, just as your own mentor helped you. I still remember my first year in a busy contact center. It was 1990. We were so understaffed that service levels were terrible. There was so much stress that a lot of us survived on three things: caffeine, Tylenol for headaches and Tums antacid tablets for upset stomachs. 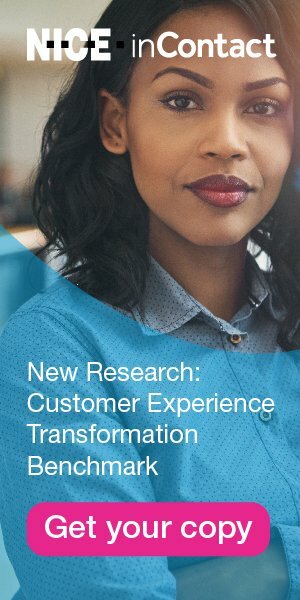 Fast forward 25 years later and most contact center leaders still endure long hours and high stress. Although it sounds like a cliché, it is important to take care of your health. Exercise, eat right and try to get more sleep. (I know that is easier said than done.) Just remember: YOU are your own best investment. It is hard to perform at your best when you are run down. Invest in your health so you have the energy to perform at a high level. Use the most appropriate ideas from this list to help you cope with the demands of your contact center role and perform at your best.